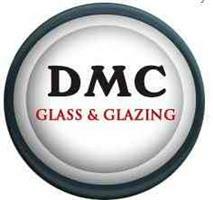 DMC Glass & Glazing - Glass, Windows/Doors/Conservatories based in Tadworth, Surrey. We are able to give ongoing maintenance on all types of glass & glazing, door, window & frame repairs including adjustments, replacement of all associated window/door hardware 24hrs a day, 7 days a week. DMC Glass & Glazing is a specialist of double glazing repairs. DMC Glass & Glazing offer a 24hr emergency glazing, bespoke glazing service, boarding & double Glazing repair service 365 days a year, covering Surrey & South London. Are vans are fully equipped to deal with any emergency then & there. We are able to carry out high quality installations using only products of high quality including all glass & glazing, windows & doors from replacement double glazed units to new energy rated doors & windows, bespoke interior/exterior glass projects, mirrored walls, splashbacks, shopfronts, balustrades, shower screens, glass partitions whatever you need we are sure to have the solution.